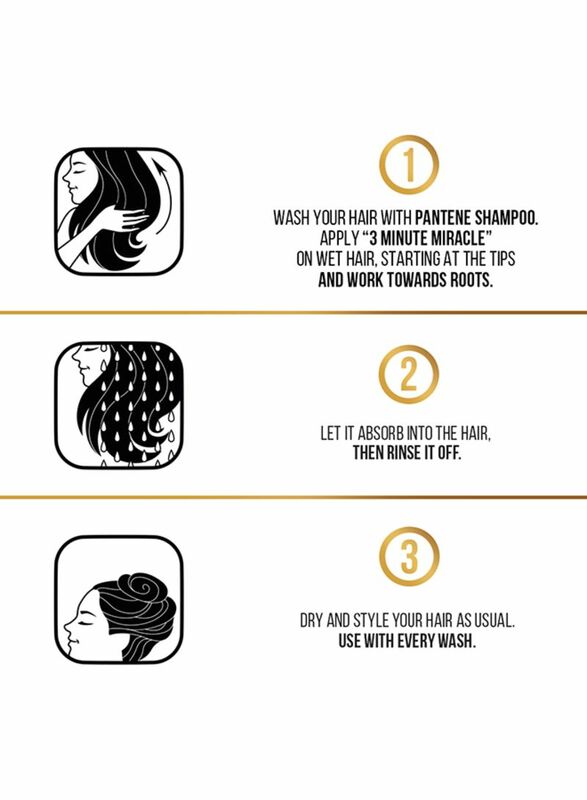 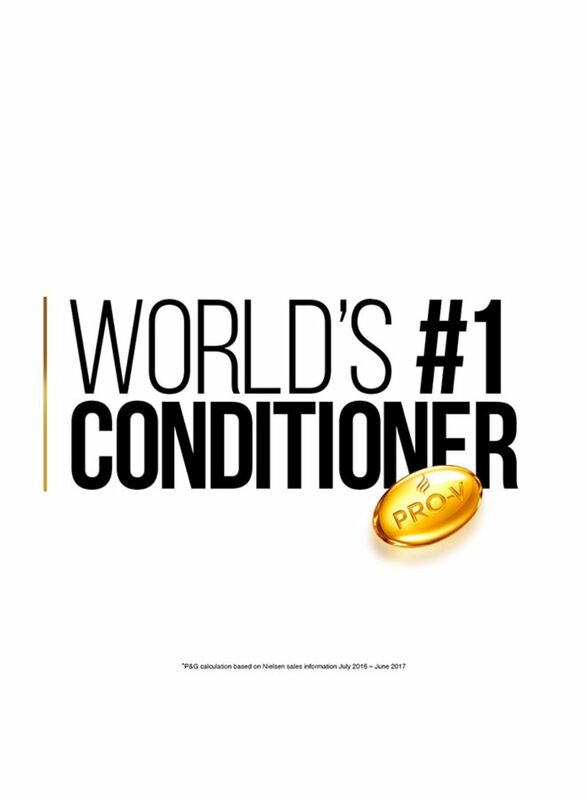 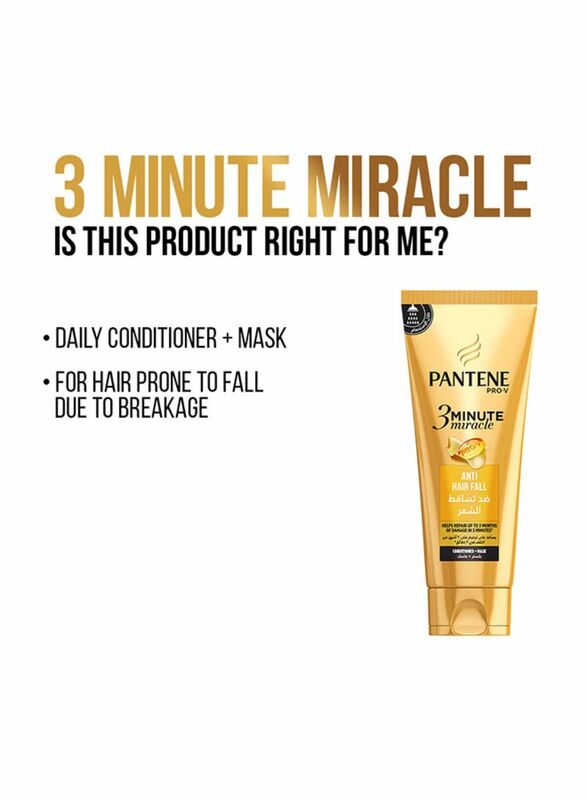 Discover Pantene Pro-V 3 Minute Miracle formula - the power of a hair treatment in a daily conditioner. 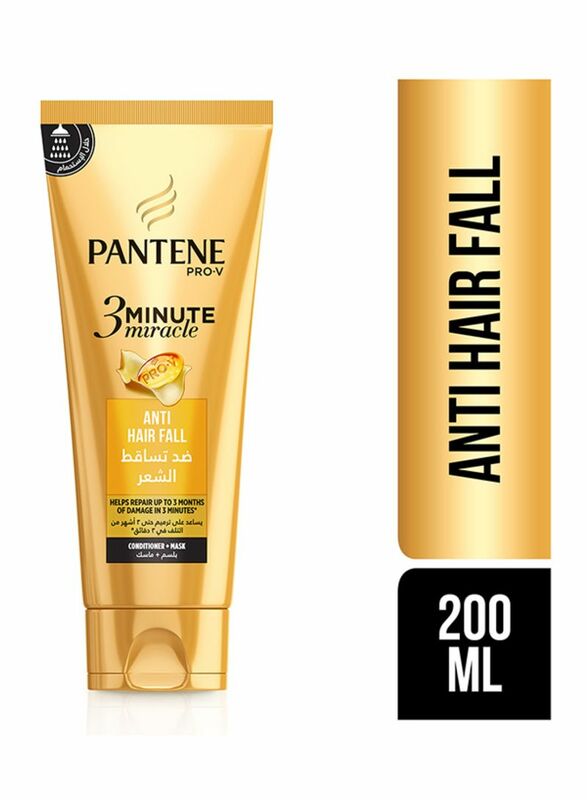 Pantene’s 3 Minute Miracle Anti-Hair Fall is a conditioner and a hair mask in one product, packed with Pro-V power that helps repair three months of surface hair damage induced by everyday styling in just three minutes, leaving hair free-flowing, bouncy and full of life. 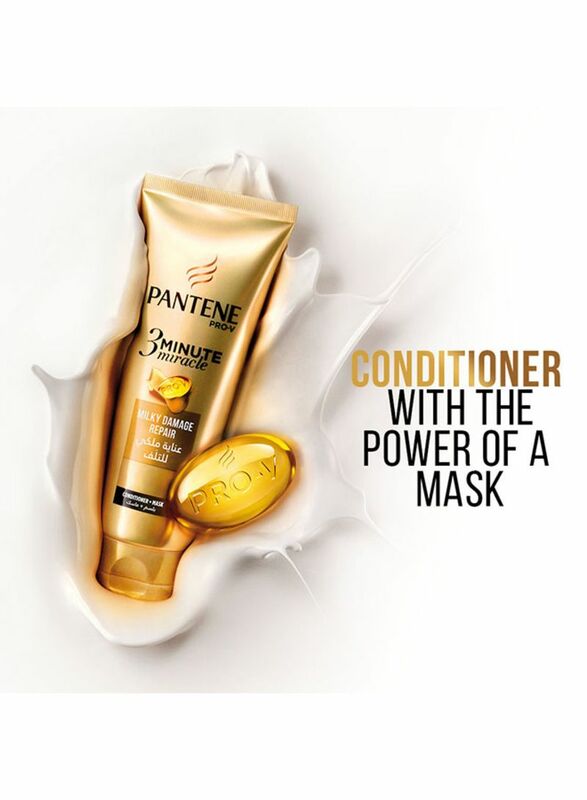 Its intense formula provides strength at the hair’s core, while melting evenly along the hair fiber. 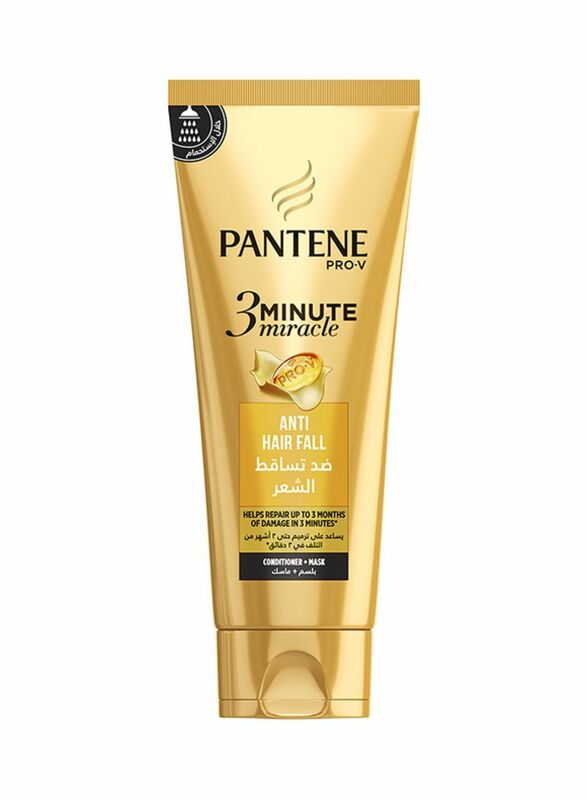 Pantene Pro-V 3 Minute Miracle also features more conditioning ingredients*, to provide superior hair smoothness and shine, while helping prevent split ends and frizz. 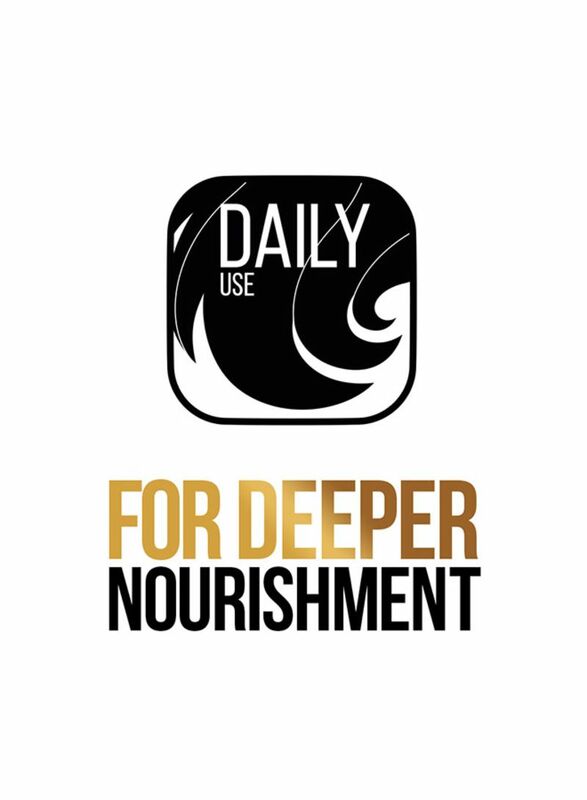 Suitable for everyday use, it also strengthens your hair against hair loss caused by styling damage, to transform fragile hair into visibly healthier, shinier and stronger. 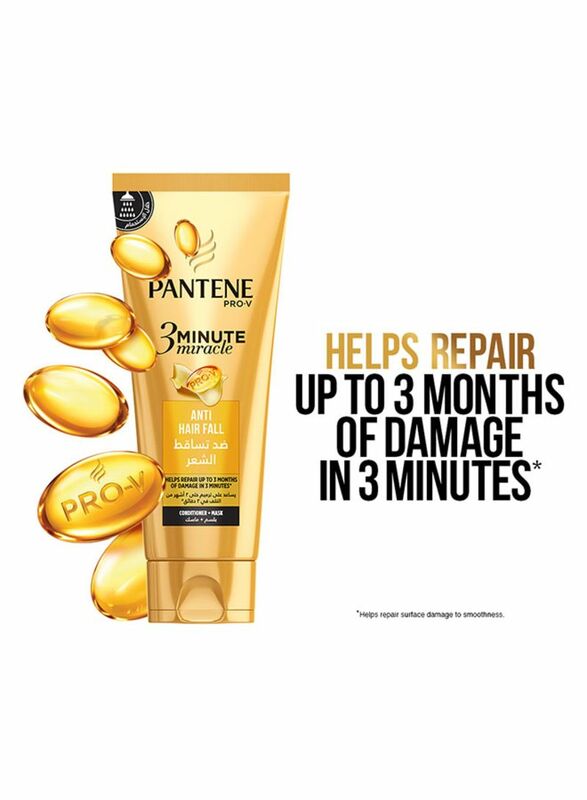 *vs. regular Pantene's conditioner.